The age old question is, "how long can you store a bottle of wine before it will die?" The life expectancy of most wines is only a few years. Most are made to be drunk within months of bottling. If a wine is suitable for aging it will also depend upon the external conditions of how the wine is stored. Sure, french wines stored in caves come to mind, but here in Canada we do not have underground wine caves suitable for storing. Even in France there is no guarantee the wine would not die. There is no chart, no standard, no direction beyond perfect storage and a few winemaker tricks to ensure that wine can be aged. It may be safe to say that sweet wines age better than dry wines. Do whites age better than red; apparently not. Red wines are produced by using the skin of the grape. Tannins are the key in aging red wines and come mostly from the skin of the grape. The quality and quantity of tannins depends upon the grape varieties. The tannins act as a preservative. Thicker skin grapes such as Cabernet Sauvignon and Syrah have better aging prospects. Other factors also enter the picture, dry summer weather improves the aging prospect, the talents of the winemaker or vineyard manger also comes into play. Low yields increase the tannins along with longer skin contact and barrel aging has its effects too. It is also important as to when the grapes are harvested. Mature grapes have better aging potential. So now we know why winemakers go to school and spend years learning their trade. Winemaking can be simple or it can be very complex. 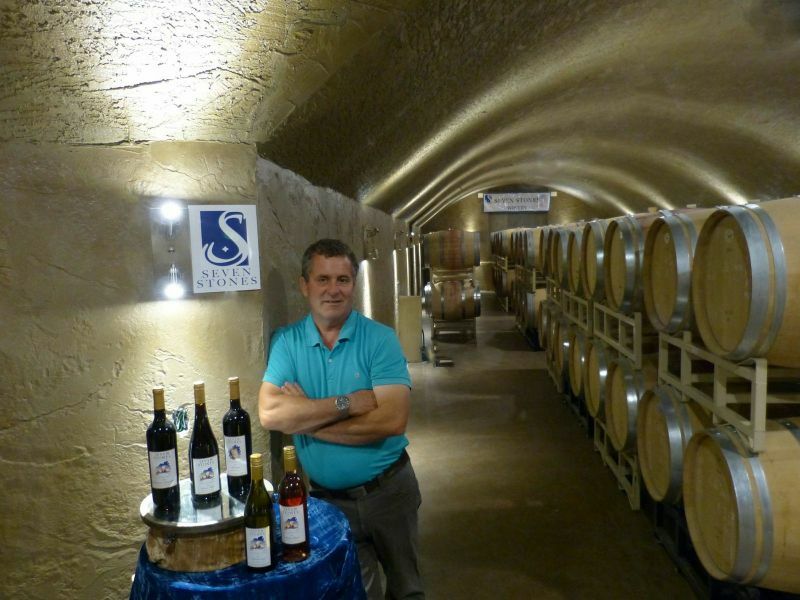 My personal recommendation is to ask at the winery which wines the winemaker has determined should be aged. The date on a bottle of wine refers to its vintage, the year the grapes were harvested. Often a wine is not released until three or four years after harvest. That's when the winemaker determines it's ready to be enjoyed. Aging wine in a cellar demands little or no exposure to oxygen and light; the temperature at which you store wine is also very important. Wine should never be stored above 59% F or (15 C) * A wine cellar can also be too cold. 25 C or 17 F is far too cold and will damage the wine. Temperature fluctuation is a also a major concern. Allowing the temperature to fluctuate, the bottle begins to breathe the liquid and air expands and contracts, this results in either the wine being forced out the neck of the bottle, or air (oxygen) to enter. This is known as weeping. Humidity is also an important factor in wine storage. The humidity should be between 75% and 85%, if not, the cork will dry out and harmful oxygen will be able to enter. Humidity used to be very harmful to a label, today's labels can handle this concern. Ultraviolet rays can also change the wine, most wines are sold in coloured bottles that help filter the light. Never allow sunlight to enter your cellar, avoid artificial lights when possible and no fluoresced lights should be used. The ideal temperature for long-term wine storage is generally 55°F. This allows for slow and proper aging of the wine. A temperature that is too hot will increase the speed of aging and a temperature too low will slow the pace of aging. However, rapid changes in temperature are more damaging to your wine than a steady high or low temperature in the cellar. Old cellar vaults with a natural earth or stone floor, high humidity and temperatures that stay constant provide the best conditions for storage. Sulfites are a naturally occurring compound that nature uses to prevent microbial growth. They are found naturally on grapes, onions, garlic, and many other growing plants. Winemakers have been adding additional sulfites to wines for millennia. The Greeks and Romans used sulfur candles to sterilize their wine barrels and amphorae. Sulfur protects damage to the wine from oxygen, and again helps prevent organisms from growing in the wine. This allows the wine to "last longer" also, which lets it age and develop all of those complex flavours we all enjoy so much. If sulfites weren't added, wine would turn into vinegar in a matter of months. If you make wine without adding sulfur, it's going to be more fragile. It will start to lose its aroma sooner, start to lose its colour and eventually become muddy or cloudy. That can take years in some cases, but it can also be as little as a few months. When purchsing wine unless you have proper storage it is best to consume the wine within a few weeks of purchase. My best advice is drink the wine within a few days especially for whites. Oxygen is the enemy of wine; as is light and temperature. Sometimes a wine that is not perfect can be enhanced by a few extra days in the fridge. Once a bottle has been opened proper resealing helps preserve the wine an extra day or so. There are numerous products on the market that claim to extend shelf life. Wines with higher sugar residual tend to be better suited to long-term cellaring than dry wines. The higher the sugar count the better for aging the wine. Some dessert whites can develop for ten years. Chenin Blanc has good aging qualities, but once opened a few days of shelf life is the best you can expect. With such a brief history, determining the ability of icewines to improve with time is open to conjecture. Sweet wines must have good acidity to gain complexity, so good balance is essential for long-term storage. Icewines are so attractive when young that there are few examples to assess (and those are very expensive). The best method for choosing an appropriate icewine to cellar is to base your choice on the grape variety used to make the wine. Icewines made with the Chardonnay, Cabernet Franc and Merlot grapes should be consumed when young. Gewürztraminer and Ehrenfelser can frequently be low in acid, and while they will keep for 3-5 years, they are not good candidates for the cellar. Vidal is good for 5-7 years, although Inniskillin Ontario has Vidal Icewines from the 1980's that are reportedly superb. For long-term aging, Riesling offers the best chance. The great, long-lived dessert wines of Germany are Rieslings, and the grape's ability to retain acidity, even in the hottest years, make Riesling icewines the best bet for long-term cellaring. As with any other wine, good cellar conditions (constant, cool temperature) are crucial to allow the wine to develop its full potential. 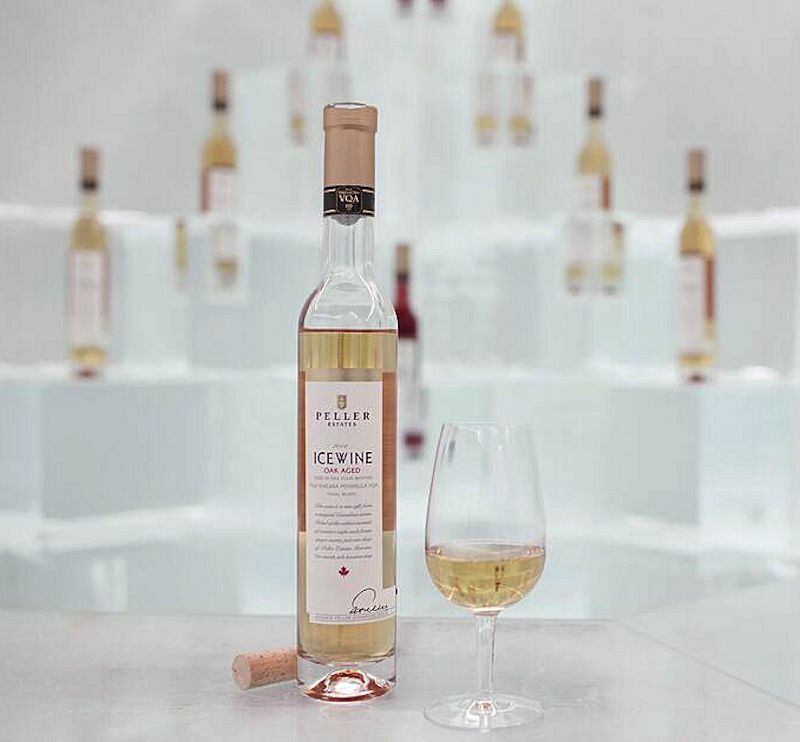 Icewines can be enjoyed in their youth or aged for many years. Icewine in its youth will display classic fresh fruit characteristics and are crisp and clean. As they age, the wines tend to have a greater degree of complexity and depth, and begin to offer up a wider range of intense aromatics. During the aging process, the naturally concentrated acidity helps to maintain the structure and balance of the vintage. Icewines will also darken to a rich deep yellow/honey color as they age and if they are handled and stored correctly, they will also increase in value. Icewine unopened and stored on it side in a consistent and cool place (55-65 °F or 12-18 °C ) and away from vibrations can keep for many years. Donald Ziraldo and Karl Kaiser two pioneers in the making of icewine say in their book "Icewine Extreme Winemaking" that " Much depends on the initial sugar concentration of the juice and total acidity. It is a good bet that Icewines made from grapes with low pH, high acidity and reasonable alcohol could live for 50 years or longer if cellared properly and kept very cool 10 to 13 C 55F"
How long will an open bottle of Icewine last? Due to the high sugar content, an open bottle of icewine will last 3-5 days after opening if re-corked and stored in the fridge. Why this would happen is beyond me. In our house, once a bottle is opened it is considered gone from the cellar! No matter how you store your wine or how long you keep it after opening, bad wines are simply bad wines. You can't make them better by aging them. *Today we have wine storage units built into our kitchens but your home is usually heated to 70 plus F, that's too warm for even red wines. These storage spaces are okay for a short time, a day or two. 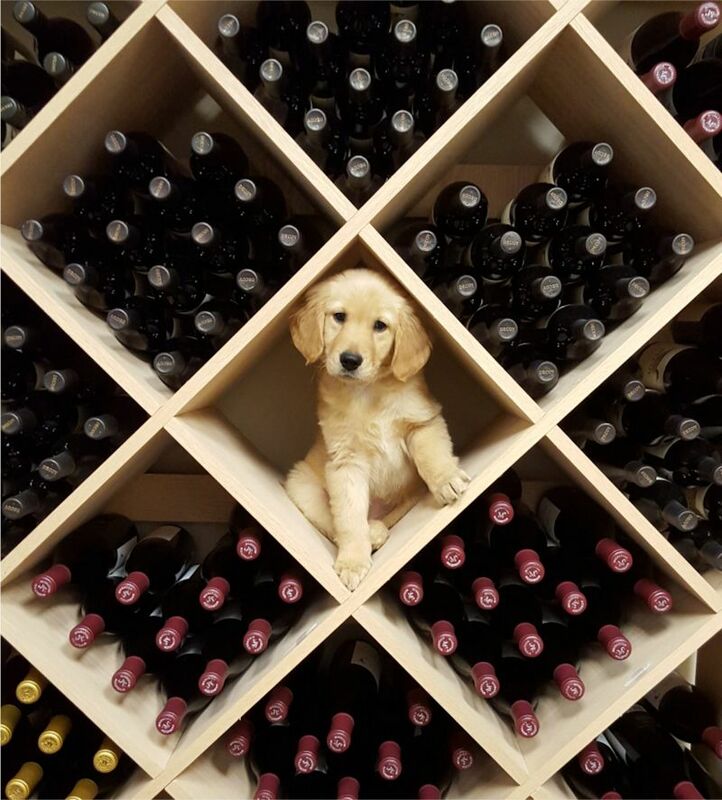 You are better off to store the wine in a cool dark place like under the stairs or basement.